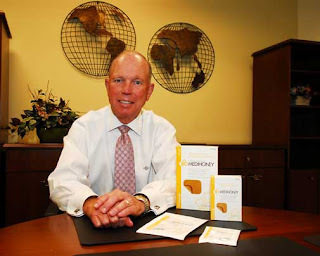 Apitherapy News: Medihoney to Hit Pharmacy Shelves in U.S.
Derma Sciences, Inc. has begun to see the fruit from its strategic labors to shift its focus from everyday health care products to high-tech wound care devices. Derma struck a deal last month with Shoppers Drug Mart, a retail pharmacy with more than 1,000 stores in Canada, to sell Medihoney Active Manuka Honey Wound & Burn dressings as a private-label product. Also in June, the honey-based dressing was cleared by the U.S. Food and Drug Administration to be sold over-the-counter in this country. Ed Quilty, chief executive officer of Princeton-based Derma, says retail pharmacy chains in the United States are interested in putting the Medihoney product on their shelves, and he expects a deal in the coming weeks. It's important to know that Derma Sciences did not receive FDA approval for Medihoney. What they received is a 510k marketing clearance which basically allows them to make certain claims that they normally would not have been able to make without it. Unfortunately, in the U.S. Manuka Honey is not yet considered an FDA recognized drug. However, I believe Manuka Honey works too well for it not to be approved shortly. There are Ministries of Health and other FDA equivalents in other countries that have approved it. It just costs so much money and takes so long to get a substance approved by the FDA. Since Manuka Honey is a natural ingredient and not a pharmaceutical ingredient, it will have to go through different channels.